Save children's lives with our Image upload service - each upload & share results in more saved children's! We believe sending images shouldn't be a chore. So we fixed it. Like sharing pictures on social platforms? Well, how about a platform which allows you to upload images while contributing to a social cause? ImageVita is one such website. This website provides you the facility to upload your pictures on their portal. The website places advertisements next to your photos and then donates 80% of the earnings for the benefit of undernourished kids. So, you get dual advantage of getting the benefit of sharing your beautiful pictures and also contributing for human service. ImageVita has a very simple process of working. It asks you to register yourself on the website. Next you are allowed to simply drag and drop your images onto their uploader and receive a URL which can be shared easily. ImageVita is not any other image upload website. It has a smooth working profile which makes it different from other portals. Moreover, you receive the benefit of unlimited speed for uploads and downloads as their system does not put a limit to connections. In addition, you get the advantage of uploading your pictures directly from your mobile or tablets. Just take a selfie and forget about uploading worries. ImageVita does not ask for premium payments for sending images to your near and dear ones. Images to be uploaded are encrypted and transferred using Https while ensuring safety of the data transferred. 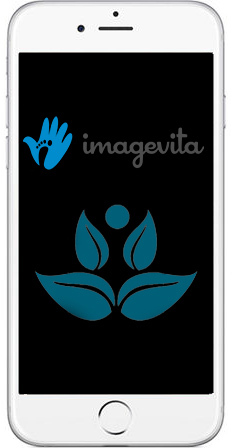 ImageVita works on a marketing strategy of placing advertisements next to your uploaded images. Then through these ads we make money out of which a major amount is contributed toward saving lives of children who need help. Thus, every picture uploaded is a step toward saving a young life. How wonderful it is to get a fulfilling feeling by helping kids who are vulnerable to all kinds of dangers. ImageVita has helped many such kids who are in need.In addition, the website also makes sure to take of their client's privacy. After you, who would like to post their personal pictures on an unsecure platform. If you have reasons to believe that one of our users infringes on your copyrights, or publishes unlawful contents via Imagevita, please contact us. Please supply the exact and complete Imagevita link of the image. Should multiple Imagevita links be affected, please ensure that all full links are included in your message. Please do not send any attachments. Please integrate all links directly as plain text into your message.